Migration flows are profoundly changing the composition of classrooms. Results from the OECD Programme for International Student Assessment (PISA) reveal that in 2015, almost one in four 15-year-old students in OECD countries reported that they were either foreign-born or had at least one foreign-born parent. 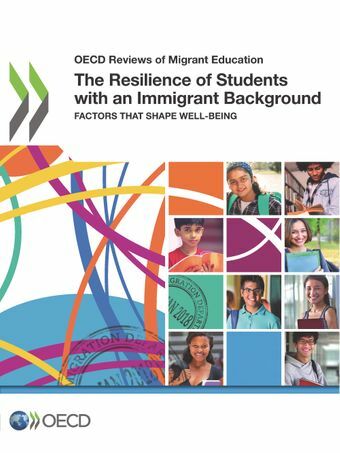 Between 2003 and 2015, the share of students who had either migrated or who had a parent who had migrated across international borders grew by six percentage points, on average across OECD countries.The Resilience of Students with an Immigrant Background: Factors that Shape Well-being reveals some of the difficulties students with an immigrant background encounter and where they receive the support they need. The report provides an in-depth analysis of the risk and protective factors that can undermine or promote the resilience of immigrant students. It explores the role that education systems, schools and teachers can play in helping these students integrate into their communities, overcome adversity, and build their academic, social, emotional and motivational resilience.